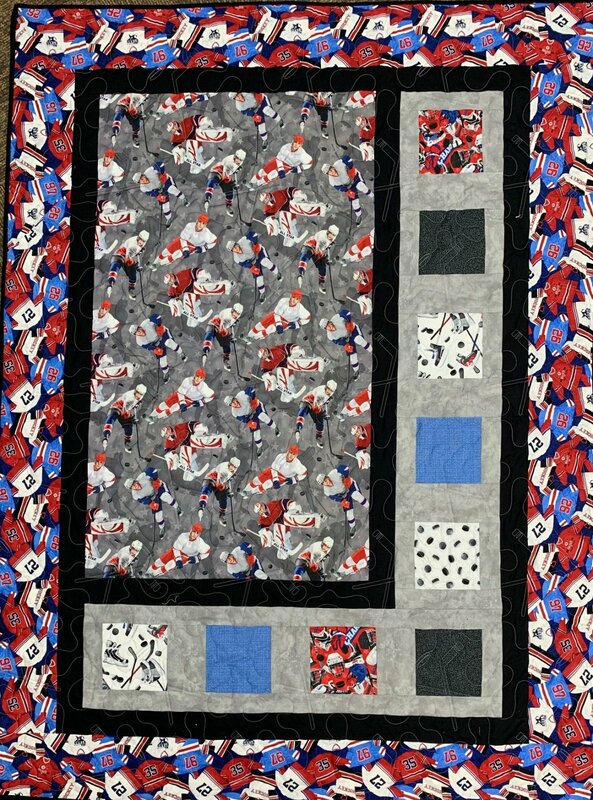 Kits > Sidelights Hockey Kit 46.5"x62.5"
Kit includes top fabric, binding, and pattern. Finished size is 46.5" x 62.5". Hockey player fabric is digitally printed.